Prime Minister Justin Trudeau responds to questions during a news conference following a cabinet retreat in Sherbrooke, Que. on Jan. 18, 2019. 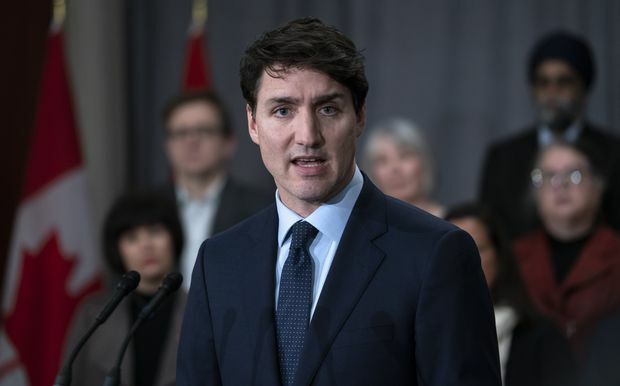 Prime Minister Justin Trudeau said the global community should be concerned by China’s linking of the legal rights of detained foreigners to the private interests of Chinese companies as Ottawa pushes back against Chinese pressure over a looming telecom decision. At the conclusion of a three-day cabinet retreat in Sherbrooke dominated by escalating tensions between Canada and China on several fronts, the Trudeau government said warnings from China will not affect Canada’s decision on whether to ban telecom giant Huawei Technologies from supplying technology for next-generation 5G mobile networks. The Prime Minister was responding to warnings this week by China of “repercussions​” should Canada join its Five Eyes intelligence partners New Zealand, Australia and the United States in excluding Huawei. Britain, the other member of the alliance, has come to an agreement with the Chinese firm. 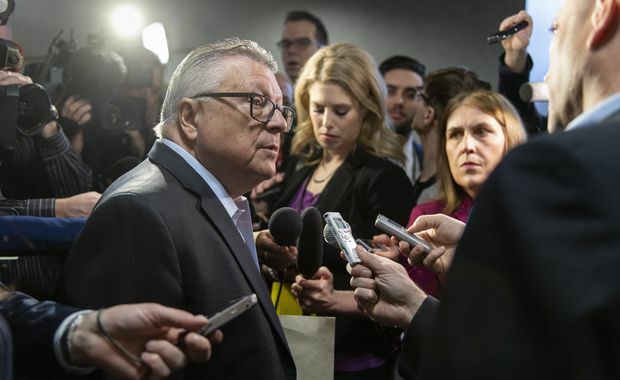 Public Safety Minister Ralph Goodale said the comments will not influence Canada’s decision on Huawei, but declined to say when the government’s review will conclude. Public Security Minister Ralph Goodale talks with reporters as he arrives for a cabinet meeting in Sherbrooke, Que. on Jan. 18, 2019. John McCallum, Canada’s ambassador to China, said Ottawa should expect a strong response from Beijing if Huawei is barred from selling its 5G equipment to Canadian telecoms. “Obviously, China would not be happy about that,” he told reporters after an in-camera briefing to the House of Commons foreign affairs committee. Asked what kind of retaliation Canada could expect, he said he had no idea. At a news conference at China’s embassy Thursday, Ambassador Lu Shaye said Canadians would suffer consequences if Ottawa were to shut the door to the largest private company in China. He would not elaborate, but Beijing has already arrested two Canadians on national security grounds and imposed a death sentence on a third for drug smuggling in what appears to be retaliation for the Dec. 1 arrest of Huawei chief financial officer Meng Wanzhou in Vancouver. Mr. McCallum said now is not the time for Prime Minister Justin Trudeau to telephone Chinese President Xi Jinping in a high-level effort to resolve the diplomatic dispute – something the Conservative Party has been demanding for several weeks. He said the best policy right now is for Mr. Trudeau and Foreign Affairs Minister Chrystia Freeland to continue their international campaign to push Beijing to release Canadians Michael Kovrig and Michael Spavor – imprisoned on allegations of endangering China’s national security – and grant clemency to Robert Schellenberg, who faces the death penalty for drug smuggling. However, Conservative foreign affairs critic Erin O’Toole said he suspects Mr. Trudeau wants to wait until the diplomatic dispute is resolved before he calls Mr. Xi. The Chinese envoy warned Ms. Freeland on Thursday against trying to rally international support for the three Canadian detainees at next week’s World Economic Forum. Ms. Freeland, Finance Minister Bill Morneau, Trade Diversification Minister Jim Carr and Innovation Minister Navdeep Bains will be in Davos, Switzerland, and plan to raise their cases. Mr. McCallum said he has been speaking to Canadian business executives in Toronto and Montreal and will meet with others in Vancouver next week to gauge their concerns about investing in China. “It is not 100 per cent, but by and large Canadian businesses want to continue moving forward in China,” he said. He added he would still advise Canadians that it’s safe to travel to China unless they have had problems with Chinese authorities in the past. The Canadian government said in early January that 13 Canadians have been detained in China since Ms. Meng’s arrest. At least eight of them were subsequently released.